Our newest iTRAVL NTL Series Talking 2-way Language Communicators and Electronic Dictionaries include everything the business or leisure traveller needs to make visiting foreign destinations an enjoyable and easily navigated experience. These unique devices are also perfectly suited for those learning a foreign language. The new iTRAVL understands exactly what you say and provides instant translation of words and phrases. By simply speaking into the iTRAVL, you can have your phrases translated and spoken aloud using a sophisticated combination of speech recognition modules, real human voice narration and speech synthesis. Featuring hi-res color touch screen and hands-free speech navigation functionality it has never been so easy to access the information you need. Another truly unique advantage of the new device is that it includes a remarkable Language Teacher learning system which actually lets you learn the language you need and practice your pronunciation while on the road. Other useful features such as an Mp3 player, games, calculator, metric converter, and word time clock utilities are also included. Click here to download the latest video presentation of the ECTACO iTRAVL. With the purchase of any iTRAVL Deluxe series translator you get the indispensable iTRAVL Accessory Pack * ( CAD99.95 value) FREE! Just imagine how fast you can learn a foreign language now?! Go for it and pick the one you need! Order any iTRAVL NTL series translator listed below and you get the indispensable iTRAVL Accessory Pack ( CAD99.95 value) FREE! SD cards have been released for each and every of the language combinations listed above. They give you the option to install alternative languages onto your iTRAVL NTL series model. Now, when in need of additional language pairs you don't need to purchase a new device! Simply get an SD card with the languages you need to supplement your iTRAVL NTL Communicator. AC adapter and rechargeable battery are included in the package. Please note that these offers are valid only in conjunction with your online order at www.ectaco.ca and cannot be combined with any other offers! * The iTRAVL Accessory Pack includes extra stylus, a storage pouch, a headset with microphone, an Ectaco SD Card Reader and an outlet adapter. 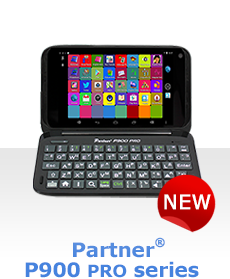 Choose any other handheld dictionary you need in any of the 48 available languages. Prices range from CAD90 to CAD700. We provide FREE shipping within the continental US & Canada on ANY item $250CND or more! Shipping cost is determined by the weight & size dimensions of your purchased items, the distance between our warehouse and your shipping address, and how quickly you request the package be delivered. Second business day delivery within the US & Canada is available for an additional $25CND. Overnight delivery within the US & Canada is available for an additional $40CND. We provide standard delivery to Europe & other parts of the world. Choose LingvoSoft translation software you need in any of the 48 languages available. Prices range from CAD20 to CAD600.